Converse: "A Military History of the Columbia Valley 1848-1865"
Colonel George L. Converse's A Military History of the Columbia Valley 1848-1865 (Pioneer Press Books, 1988) is a nice little overview of the mid-19th century clashes between area Indian tribes and the U.S. Army-territorial volunteer forces in what is now eastern Oregon and Washington. Many of the events described in the text center around the valley of the Walla Walla River. Beginning with the Whitman Massacre in November 1847, chapters cover campaigns against the Cayuse in 1848 and the Yakimas in 1855-56. The Oregon Rifles and the Oregon Mounted Volunteers had prominent roles in these campaigns and the U.S. regular forces that were present were often commanded by men who would later gain fame in the Civil War. The 1858 Steptoe-Wright expeditions from Ft. Walla Walla to what is now the Washington-Idaho border region are also described. During these campaigns, several other temporary forts were constructed. Ft. Walla Walla became an important strategic post and during the Civil War years was garrisoned by various volunteer regiments from California (2nd Volunteer Infantry), Washington (1st Territorial V.I. ), and Oregon (1st Oregon Volunteer Cavalry and 1st Oregon V.I.). These units mainly spent this time patrolling the overland emigrant routes, before being replaced by regulars at war's end. Although a very interesting [well, at least to a native like me] historical overview, Converse's book is also maddening in that it's not footnoted for the benefit of those of us who would like to delve further. Also, the author's hand drawn maps are without scale, making the sites difficult to locate, even in general terms. As for what you can see today, the Whitman Mission and Massacre location is a very well-maintained (at least it was when I visited last) National Historic Site and the fort has a nice museum and cemetary, but I've never heard of markers placed at any of the sites of military action. On a related note, I see Westholme will soon be releasing Fighting for Paradise: A Military History of the Pacific Northwest (May 2007). I might have to check that one out. I've added and updated the journals section of the sidebar. For the most part, I am including just those that have significant Civil War content and have useful online content free of charge (ex. table of contents, search capability, full articles, etc.). Civil War History has a notably poor free online presence, but hopefully they'll see fit someday to at least include some kind of minimal citation info on their site. Some of the others do have TOCs but neglect the page numbers, which would be more than slightly helpful in obtaining copies of the articles through interlibrary loan. Please feel free to offer journal suggestions of your own in the comments section. If I recall correctly from my quick breeze through them all earlier in the week, only the Kansas, Oklahoma, Ohio, and Florida state historical society journals provide many or a majority of their articles from their run for free online. Florida HQ offers complete content on seemingly all of their volumes, but I've found the search capability to be very frustrating. As an update, the Register of the Kentucky HS now has a pdf file containing the table of contents for all of its issues for viewing or download. Martin: "A History of the 4th Wisconsin Infantry and Cavalry"
The 4th Wisconsin is a unit interesting on a number of levels. According to the Foreword, no full regimental history of a cavalry regiment from the state existed prior to this one. The 4th was also one of the relatively unusual units that started its service as infantry then was converted to cavalry mid-war. In terms of Wisconsin Civil War regiments, readers might be surprised to learn that, although the 4th regiment did not fight in any battles that would be deemed large by conventional standards, only the total number of deaths suffered by the Iron Brigade's 7th infantry exceeded its own. However, for me, the most intriguing aspect of this regiment's service is its theater of operations. This is no run of the mill history of a Bull Run to Appomattox term of service in the East. The 4th Wisconsin Infantry/Cavalry participated in many raids and campaigns throughout the Gulf region that remain little known or written about. The unit began its service in Maryland, guarding the railroads there and taking part in the 1861 Eastern Shore campaign. From there, the Badgers joined Ben Butler's New Orleans expedition. After a reserve role in the August 5, 1862 Battle of Baton Rouge, the 4th found itself transformed into mounted infantry for the 1863 Bayou Teche campaign. Later in the year, the regiment saw its heaviest combat and greatest loss during the doomed assaults on the fortifications at Port Hudson. Once fully mounted and officially designated as cavalry, the regiment then spent the next year and a half picketing and patrolling the approaches to Baton Rouge. From late 1864 onward, three extensive cavalry raids were undertaken--the Liberty-Brookhaven Raid in November, John W. Davidson's West Pascagoula Raid, and finally Benjamin Grierson's march hundreds of miles through Alabama and Mississippi in the closing moments of the war. The book's extensive coverage of these obscure, rarely studied raids/campaigns is one of its finest points. The 4th Wisconsin Cavalry ended its service in May 1866, having had the disagreeable post-war duty of patrolling hundreds of miles of Texas-Mexico borderland. A History of the 4th Wisconsin relates these military operations at a level of detail that greatly exceeds that put forth by the average regimental history. It rather approaches more of what we might see from specialized works. Author Michael Martin writes quite well, in a lively manner within a skillfully organized narrative. Even the rather mundane aspects of the regiment's service were rendered involving at some level. The visual elements of A History of the 4th Wisconsin are pleasing as well. Dozens of period photographs are interspersed throughout the text. Although a few more were needed, the maps are adequately detailed and numerous enough to cover almost all of the regiment's significant movements and campaigns. However, a minor complaint could be made of the number of typos that crept into the final text. Like all good modern regimentals, this one contains a detailed unit roster and casualty lists. It doesn't include the demographic analysis often found in recent works in the genre, but if this is viewed as a weakness, it is easily outweighed by the book's many strengths. Other appendices address subjects such as interments, reunion attendants, and a roster of Earl's Scouts. With its center of operations at Natchez, Earl's Scouts became a very effective information gathering unit. Many members were gleaned from the 4th Wisconsin (including Earl himself), and for the book's final chapter, the author wrote an impressive 50 page history of the Scouts. Overall, this fascinating study is a fine example of scholarship, and a more than worthy contribution to the literature. Anyone wanting to learn more about an unusual unit serving in a rarely studied theater of operations will revel in the details provided by Michael Martin's regimental history of the 4th Wisconsin Infantry/Cavalry. Wood: "Other Noted Guerrillas of the Civil War in Missouri"
With Other Noted Guerrillas (a take on the title of John N Edwards' famous--and unfortunately very influential--romanticized mythologizing of Quantrill and his colleagues, Noted Guerrillas), Wood brings to light the Civil War careers of guerrilla leaders, many of whom were well known to both sides ("notorious" as they say) at the time, but are little remembered today. William Marchbanks, Henry Taylor, Tom Livingston, John Clem, Benjamin Parker, Joe Hart, Mart Rider, Jim Jackson, Clifton Holtzclaw, Jim Anderson, John Thrailkill, Silas Gordon, John Rucker, James Pulliam, Sam Hildebrand, and the various Bolins. For the most part, each guerrilla has an entire chapter devoted to him. 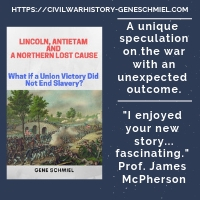 A few paragraphs of pre- and post-Civil War biographical information is provided, bracketing a lengthy and suitably detailed history of the individual's wartime career. For me, the most interesting chapter was the last, with the heading "Missouri Guerrillas: Who Were They?". Here, Wood gives a rundown of the historiography of the guerrillas from the Civil War period to today, tracing the evolution of the treatment (scholarly and otherwise) of these figures in books and articles. I think the chapter might have been more effectively placed at the beginning of the book, perhaps as a prologue, as it provides some excellent context. All in all, by providing well documented wartime biographical sketches of a number of comparatively neglected figures, Other Noted Guerrillas makes a more than worthwhile contribution to the Civil War historiography of Missouri. Suderow: "Thunder in Arcadia Valley"
With such disproportionate popular interest in Civil War cavalry and cavalry raids, it is surprising how little has been written about the 1864 Missouri Raid led by Confederate General Sterling Price. First published in 1964 (and reissued slightly revised in the early 1990s by University of Colorado Press), Howard Monnett's Action Before Westport remains the standard single volume history of the campaign. Price's retreat after Westport is most admirably recounted in Lumir Buresh's first rate work, The Battle of Mine Creek. 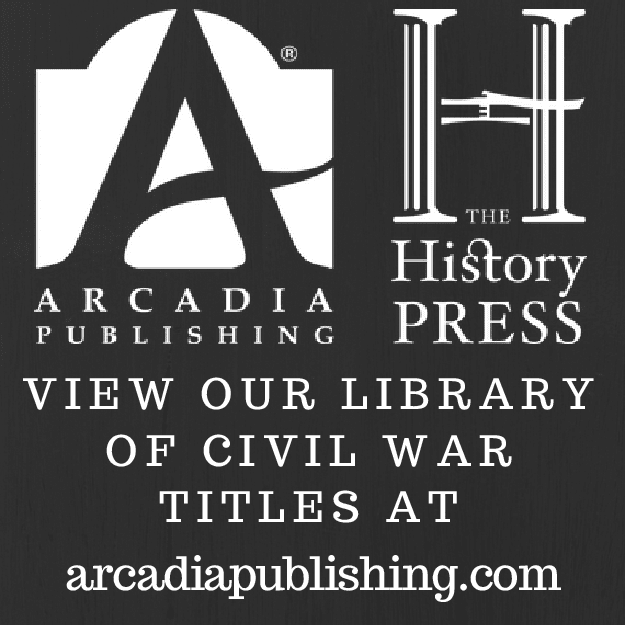 However, Bryce A. Suderow has also written a very fine account of the opening moments of the raid and the September 26-27, 1864 Battle of Pilot Knob in his book Thunder in Arcadia Valley: Price's Defeat, September 27, 1864 [1986, Center for Regional History and Cultural Heritage at SEMSU: Cape Girardeau, MO]. The early part of the raid has received the least amount of attention in the literature, and Suderow filled the void nicely two decades ago with this detailed and well researched battle study. His capable tactical history of the Confederate cavalry's approach and bloody assault on Fort Davidson is backed up by a sound analysis of the campaign up to that time and the battle itself. Suderow is critical but fair in his assessments of the leadership of both sides. Price and Fagan do not come off well, while Union commander Thomas Ewing's penchant for shuttling small forces outside that main defenses (where they were promptly chewed up or dispersed) is rightly condemned. For researchers and otherwise interested students, a detailed accounting and analysis of unit strengths and losses is included in the appendices. The six maps showing troop positions at various stages of the advance are adequate, but reader understanding could really be enhanced by the inclusion of another map or two detailing the positions of the attacking regiments and the defending units within the earthworks during the actual assaults. Hopefully, this issue will be addressed in a future reprint. 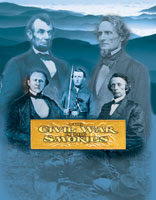 Fisher: "The Civil War in the Smokies"
As an admirer of Noel Fisher's War At Every Door, I was pleased to obtain a review copy of his latest book, The Civil War in the Smokies (Gatlinburg, TN: Great Smoky Mountains Association, 2005. Cloth, photos, illustrations, notes, bibliography, 3 maps, 169 Pages, ISBN 0-937207-46-2). Happily, Smokies is every bit as scholarly as Fisher's earlier East Tennessee studies and the material is all new. The region in question roughly encompasses the current Great Smoky Mountains National Park---the Tennessee counties of Blount, Cocke, and Sevier, and across the border in North Carolina, Cherokee, Haywood, Jackson, and Macon counties. While military operations are discussed in some detail, the main focus of Civil War in the Smokies is the effect the conflict's dire economic, political, and social disruptions had on the local population. Initially, the North Carolina side of the Smokies was largely pro-secession but the heavy handed actions and the lack (or perceived lack) of concern for the mountain counties exhibited by the Confederate government caused many there to lose heart. As was common in many areas of the upper south, residents were badly abused by the regular and irregular forces both sides. Fisher's writing powerfully evokes the fear and increasing economic desperation of the region's families. The book's lengthy recounting of the correspondence between Confederate soldier Alfred Bell and his wife, Mary, is especially moving. Education and religion also took a heavy beating as institutions were closed and often looted or destroyed. Both during the war and in its immediate aftermatch, ministers thought to be sympathetic to one side or the other were not allowed to preach or were dealt with in violent fashion. During the war's first half, the Smokies area under consideration was occupied by regular Confederate forces of varying strengths. Battles were few, but the countryside gradually became infested with guerrillas, deserters, and conscription evaders. With the arrival of Ambrose Burnside's army in 1863, the area came under nominal Union control. After the Confederate victory at Chickamauga and the investment of Chattanooga, Union occupation was soon contested by a large column under Longstreet. When the advancing Confederate forces failed to retake Knoxville, the Smokies became something of a no man's land, repeatedly fought over by large foraging expeditions and mounted raiders. Although Longstreet was recalled to Lee's army for the 1864 campaigning season in Virginia, the Smokies remained the scene of numerous cavalry raids. While the modified period maps included in the book help the reader follow the actions of the opposing forces to some degree, original (and more detailed) maps constructed with the text in mind are needed in order to convey a proper understanding of some of the more complex military movements. These would also serve to forestall much of the geographical confusion that will undoubtedly be felt by readers not native to the region (like me). Several unusual units that are not often mentioned in Civil War military histories are discussed by Fisher. Perhaps the most interesting is the mixed race (white and Cherokee) Confederate legion organized and led by prominent citizen William Holland Thomas. Unionist North Carolinians from the area were available in large enough numbers to form two mounted infantry regiments that conducted raids and garrisoned important points during the war's waning moments. The Civil War in the Smokies is an excellent book that I would recommend to anyone wishing to learn more about the Civil War in the mountains of East Tennessee and western North Carolina. The southern Appalachian region has received a fair bit of attention lately, but the material here is fresh. The writing is lively and the level of research is certainly rigorous enough to impress the most demanding of readers. Everytime I see a new state CW trail guide available for free by mail, I am reminded of the many early 90s television and magazine advertisements from various state tourism departments touting their own wonderful CW history. Out of curiosity, I either wrote or called the 800 numbers and had them send me their free guides. Out of the half dozen or so requests by phone or mail, I didn't receive a single thing in the mail. The taxpayers really got their money's worth from their state promotion budgets and somehow I bet they sold my mailing info to every CW trinket manufacturer in the company. My last name is routinely butchered in print. In one instance, I could easily track just who sold me out to the purveyors of CW crap catalogs. Immediately after I had started subscribing to a certain popular magazine, I kept getting catalogs carrying the same unique misspelling as the magazine label (though not as bad as Santos E. Halper). Yeah, I know somewhere in the agreement they allow themselves to sell your name to entities they "think you might be interested in", but, if magazines think I would be even remotely interested in these embarrassing promotions, they must have a dim view of their subscribers. As a person who has always been fascinated with cartography, I am a big stickler for good maps in Civil War books, and nearly always make some kind of special mention of their number and quality in my reviews. Although aesthetics is important, I am usually forgiving of artistically challenged maps if the detail is all in there. Unfortunately, maps are something the big publishers apparently place little emphasis on when they do decide to put out Civil War military studies (the recent Bull Run study Donnybrook is a prime example). The level of appreciation of the cartographer's labor certainly seems to take its cue from the level of indifference demonstrated from above (see recent post by David Woodbury highlighting an extreme example). I am one of those people that always reads the 'Acknowledgements' and the cartographer is often not even mentioned; and if he is accorded recognition there, the statement is mostly cursory in nature, as if the work done is merely a commodity. On the other hand, many more (but not all, or even most really) small to medium sized private and university press publishers do recognize the critical importance of cartography. Perhaps the most notable example in the private arena is publisher Ted Savas (of Savas Beatie). Recently, I asked him a few questions about the subject. AW: Hi Ted. I've noticed over the years with Savas Woodbury, Savas Publishing, and now Savas Beatie that you do much of the cartography for your publications. How did you get into cartography? Do you have any background in the graphic arts before you became a publisher? TPS:(pictured at left) First, thanks for asking for the interview. I hope your readers find it helpful. I have always loved good maps, so when we began Savas Woodbury (with my pal David Woodbury), our goal was to load up our Civil War Regiments quarterly journal and books with as many high quality maps as possible. Many people told us this philosophy would be too hard to implement, too expensive, not worth the effort. They weren’t too far off the mark! When David and I figured out we could not get the maps we wanted when we wanted them, we decided to learn how to draft them ourselves—and spent endless hours trying to perfect the craft. I do not have a background in graphic arts, and I don’t believe David does either. AW: Is there a wide range of cartography software available specifically for publishing? TPS: There is a lot more software available than I am familiar with, so I can’t render an informed judgment on anything other than what used. I know, for example, that there are now 3-D images of terrain you can import and, of course, there are very advanced auto-cad programs. AW: What do you use for your own work? TPS: David used Adobe Illustrator and I cut my teeth on CorelDraw! I still use the same program (newer version) because I am comfortable with it. AW: How significant a cost are maps? Understanding the variables involved, as a ballpark percentage, how much would a reasonable number of detailed maps (say 20) add to the cost of a typical book? TPS: This is a more difficult question than it might seem. First, are you speaking cost for the publisher or for the author? TPS: Ok. Most publishers put the responsibility on the author for providing maps (and usually have a right to refuse them if they are not worthy of publication). There is still a cost to the publisher, however, because we have to make sure the format is right, size them, import them and make sure everything is correct inside the book. So putting 20 maps into a battle book would add several hours of formatting and editorial time, and time is money. For the author, hiring someone to draft maps is expensive—especially from scratch. The process is very labor intensive. A typical good (and I stress good) tactical map of a Civil War battle, for example, takes many hours to draw. Then add in additions, corrections, modifications, etc. A map can cost anywhere from $75.00 to several hundred or more, depending upon what you want, how complex it is, and who is doing it. It is even harder if you do them by hand (I don’t do that and never have). Making modifications on hand-drawn maps is a nightmare. I think if an author is reasonably good with a mouse and computer, there are enough map samples out there to find what you like, and inexpensive software. So every author should try drafting a few maps himself. After a few days of that, most authors pull their hair out. At that point, the cartography bill some guy quoted for 12 maps look cheap. TPS: I do have a philosophy: the more quality maps the better, and you can never have enough of them. We have several projects underway now that are map-intensive, and I put my foot down firmly on more than one occasion when an author/cartographer tried to cut corners and turn in maps I do not believe are suitable for a Savas Beatie book. This is not unusual, because the process is tedious and frustrating, and guys tied to making the maps get tired and want to reach the end. But if you want good maps, it means going “back to the drawing board”—over and over. But the reward is a lovely book everyone can be proud of forever. That is always worth the extra effort or expense. AW: How closely do you work with your authors to make sure the text and maps match as closely, logically, usefully, etc. as possible? TPS: Very close. As I explained recently in a different interview with Joe Wikert [Part 1, 2, 3, 4], we strive to form relationships with authors, and that means we talk about every step of the process—including map placement. We ask authors to send in the map list with a string of text by each map we can search out so we can anchor a map next to it. When the galley comes out, we ask the authors to carefully examine map placement to make sure they are exactly where they want them. Some authors, unfortunately, are not cooperative and are just plain difficult to work with, but most of our authors are wonderful and so working closely with them in this manner is one of the joys of my work. AW: When publishers of campaign and battle studies skimp on maps, do you think it is primarily a lack of understanding or cost (or both)? TPS: Hmm. I think you are trying to get me into trouble. (laughing) I think it depends on the publisher. Let me give you an example. And I will be frank about it. I reviewed a battle book published about ten years ago on an Eastern Theater action (I can’t remember where the review appeared). The maps were staggeringly plentiful (70 or so if I recall), but they were the worst examples of maps I had ever seen. I hesitate to call them maps. In fact, I wrote exactly that in the review (“the worst maps ever published”). Essentially, they were nothing more than topo maps with magic marker lines on them (you could not distinguish fences from troop positions). Word and geographic features were cut off around the edges and the maps were oriented haphazardly on the pages. I wrote to the publisher and asked if this was the final version of the book, or if a mistake had been made. The letter back to me blamed the author, and said it was his responsibility to provide maps. That is what my grandfather used to call a steaming shovel full of . . .
Now, I have been publishing books for 17 years. I would never—ever—publish maps like that under any circumstance. I would cancel the book before I put out trash like that. So in that instance, I don’t think the publisher cared at all what the maps looked like. They were more interested in advertising that the book had dozens of tactical maps. Ultimately, that cheats the buyer who shells out a lot of money only to discover the “maps” are worse than useless. Other publishers agree to arrange for maps, so you only see one or two, usually copied straight from the OR Atlas (which in most cases do not translate well into grayscale, smaller book form). That would be because of cost. But many publishers just don’t get it. I have always tried to craft the book I would want to buy. More maps is expensive for everyone, but more maps often result in better reviews, better word of mouth, and an overall better book, which in turn translates into happier customers who believe they got their money’s worth. And that, in turn results in more sales. At least that is how I look at it. AW: Is there anything you'd like to mention that I didn't ask about? TPS: Yes. If you buy a book and it has no maps or the few it has are next to worthless, write or call the publisher and ask for a refund. Take the book back to the store and return it, or don’t buy it in the first place. We are all customers and we can help drive the market. It is also important to recognize that, in my opinion, small presses routinely turn out better and more interesting and diverse material than the big houses. For example, we saw a niche for good maps (no one that I recall was doing maps like David and I set out to do), and we filled it. We saw a niche for good original (unique) battle material, and we filled it. And we continue to do so, today expanding to cover other historical areas, but always striving to make sure our titles are unlike anything else out there you will find. Finally, I hope your readers will patronize book publishers who give them more bang for their buck. If those publishers shut their doors (and many have in the past ten years), where are you going to get the material smaller presses turn out? Random House? Simon and Schuster? Try getting them to look at your manuscript. On occasion, big houses publish military history titles, including Civil War. But they usually are less than impressive when it comes to the cartography found inside. DW: That's certainly my experience as well. Thank you, Ted, for your time, opinions, and insights; and I'll be looking forward to viewing what you've come up with in the map department for the upcoming Beatie Vol. III and Shiloh books. Whatever one thinks of certain individual titles, Two Trails Publishing should always be appreciated for the great volume of important Trans-Mississippi primary source materials that they've published over the years. Their website now has an In The Works page. Gorin: "'Morgan is Coming!' : Confederate Raiders in the Heartland of Kentucky"
With her book "Morgan is Coming! ": Confederate Raiders in the Heartland of Kentucky (Harmony House Publishers, 2006 2nd ed. ), Campbellsville historian Betty J. Gorin has written an exceptional piece of local history. Beginning with a short background sketch of Campbellsville, Kentucky, Gorin devotes succeeding chapters to capsule histories of the various John Hunt Morgan cavalry raids that passed through her main geographic region of study (roughly the counties of Marion, Taylor, and Green). These include Morgan's Pleasant Hill Raid, First Kentucky Raid, Christmas Raid, and 1863 Great Raid. However, Morgan's capture at the end of the Great Raid did not end these unwelcome visitations. In November 1864, brutal pro-Confederate guerrilla Henry C. Magruder attacked Campbellsville. In addition, at the end of December, raider Hylan B. Lyon passed through Taylor County during an almost month long raid into Kentucky. "Morgan is Coming!" 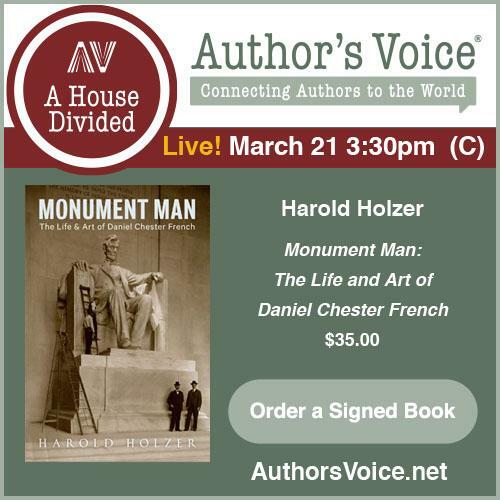 is clearly a labor of love for the author and the product of many years of meticulous research in primary sources. Gorin's expert knowledge of the people, places, and events of the Civil War in south central Kentucky really shines through in the book's centerpiece, a dazzling study of the stretch of Morgan's Great Raid from the crossing of the Cumberland River through the capture of Lebanon. This includes detailed accounts of the battles at Columbia, Tebbs Bend, and Lebanon. According equal attention to each side, the microtactical treatment of the Battle of Tebbs Bend is exceptional in depth and in its analysis of terrain and tactics. The book's exposition of the twists and turns of the career of the Union hero of Tebbs Bend, the 25th Michigan's commander Orlando H. Moore, is particularly fascinating. Gorin also traces how post war politics affected the battle's commemoration. The text is enhanced immeasurably by the inclusion of many dozens of photographs (both period and modern), drawings, and artwork. Several archival maps are reproduced in the text and end pages. Additional original maps (operational and tactical scale) are sprinkled throughout the text, all well done. Numerous appendices contribute election data, demographic information, casualty lists, letters, official reports, local legends, and even poetry. The production of such a beautiful, richly detailed book certainly is the result of an unusual level of dedication by the writer and publisher. Historians, researchers, local residents, genealogists, battlefield tourists -- any reader interested in Morgan's raiders or Civil War cavalry and Kentucky's wartime history in general -- will benefit greatly from digesting the rich offerings of this prodigiously researched study. Highly recommended.